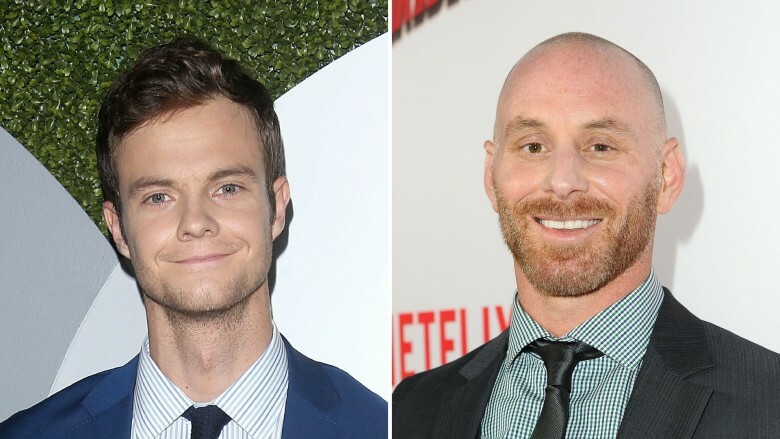 Jack Quaid and Matt Gerald are set to join Dwayne "The Rock" Johnson's adaptation of the '80s video game Rampage, Variety reports. The film will star Johnson as an animal lover trying to save humanity from three monsters: giant gorilla George, Godzilla-like lizard Lizzie, and werewolf Ralph. Oscar nominee Naomie Harris will play the female lead, a geneticist with "a moral streak." True Blood's Joe Manganiello was previously reported as being in talks to play the leader of a private military group, while Pleasantville's Marley Shelton was in talks to play a scientist and astronaut. The cast also includes Jake Lacy, Breanne Hill, and P.J. Byrne. Quaid, the son of Meg Ryan and Dennis Quaid, got his acting start in The Hunger Games and has since appeared in Just Before I Go, Ithaca, Tragedy Girls, and HBO's Vinyl. Gerald has had roles in Avatar, Red Dawn, Escape Plan, The Shield, and Marvel's Daredevil. No information has been made available on who Quaid or Gerald will play in Rampage. Specific plot details for Rampage are scarce, although director Brad Peyton has said that it will take inspiration from the popular video game. "It's going to be a lot more emotional, a lot scarier, and a lot more real than you'd expect," he said. "So you look at that original concept about a lab that affects these animals and makes them rampage, and that's the nugget." Rampage is set to be released on April 20, 2018. Ryan Engle (Non-Stop) wrote the original script, with edits by Carlton Cuse (Lost), Ryan Condal (2014's Hercules) and, most recently, Adam Sztykiel (Due Date). While we wait for Rampage to premiere, check out these video game movies that never made it to theaters.